MOTHER OF INVENTION Lawrence does her best to sell Russell’s latest, but even she can’t save this tentative, sketchy effort. 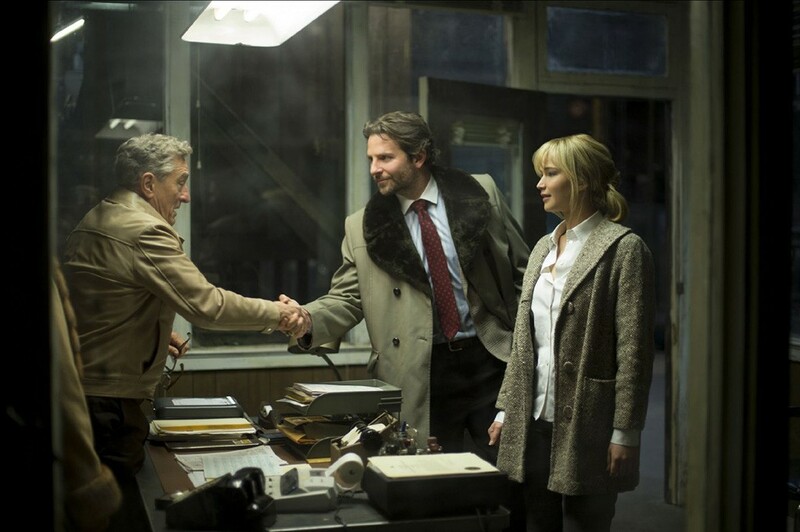 The third time is not exactly the charm when it comes to writer-director David O. Russell's latest collaboration with Jennifer Lawrence, Bradley Cooper and Robert De Niro. It's by far the least compelling and cohesive of the three films the group has made. Lawrence plays Joy Mangano, the woman who invented the Miracle Mop and 100 or so other household wonders ("Skinny velvet hangers make neater closets. Who thinks of things like that? Joy did. "), and went on to become a QVC icon. The story is not the problem. Mangano's rags-to-call-in-riches saga is so kitschy and improbable that you can imagine Tim Burton drooling at the thought of taking a seriocomic stab at it. The problem is that Russell decided to tell a different sort of story, and much of it is a snooze. He lavishes too much time, for example, on a treacly depiction of Joy's childhood. She was a creative girl who liked to make things. Russell's not content to establish that and move on. Instead, he concocts the character of Joy's grandmother, Mimi (Diane Ladd), and lingers on scene after scene in which she assures the girl she's destined for greatness. Eventually Russell jumps forward to the early '90s, and we meet a woman whose dreams are on hold. Joy is divorced from a small-time Latin singer (Édgar Ramírez), who lives in her basement. The crowded house is also home to the couple's two kids; Mimi; Joy's divorced, shut-in mother (Virginia Madsen); and Joy's father, Rudy (De Niro), a twice-married romantic who owns an auto shop. What would a Russell film be without a wacky family? Lightning strikes one evening in a clumsily handled sequence that has Joy suddenly mumbling to herself, as if possessed, while her family looks on in bewilderment. Earlier, she had mopped up a spill and cut her hands on broken glass while squeezing water out of the mop head. As we learn, she hasn't had a stroke. She's had a brainstorm. Soon Joy is assembling Miracle Mops by the hundreds in Rudy's shop. The self-wringing design ensures that neither she nor anyone else with $19.95 need ever befoul their hands on a mophead again. Now all Joy needs is a place to sell her invention. Where's Bradley Cooper when you need him? Running a nascent QVC, it turns out. He's Neil Walker, a friend of a friend of Joy's ex-husband, the guy with the final word on which products the network will push. With a running time of 124 minutes, the film contains a stretch of about 20 that's absolutely enchanting. It extends from the moment Joy and Neil meet through her triumphant on-air debut and her record-shattering success. If you've seen Silver Linings Playbook and American Hustle, you may think you know how the relationship between Joy and Neil will play out. You may be surprised. Instead, the third act is a downer that abruptly switches tones to chronicle attempts made by business associates and family members to rip off Joy. It's an odd choice. I wish Russell had devoted that time to fleshing out the major characters. Joy Mangano's life has been a singular and fascinating one. She's currently a legend at HSN, and I'd love to have come away with a better sense of what makes her tick. I suspect Russell couldn't decide which parts of her story to tell or how, and that's why the movie frequently feels so sketchy and tentative, despite Lawrence's game efforts. The filmmaker may claim what's on the screen is what he wanted, but I don't buy it.